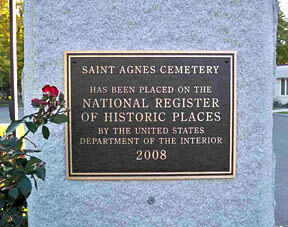 St. Agnes Cemetery, established in 1867, is a 108-acre Roman Catholic cemetery operated for the religious and charitable purposes of the Roman Catholic Church through the burial and memorialization of the faithful departed. 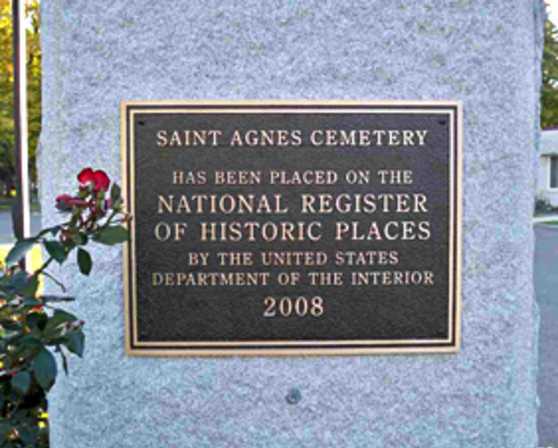 Located in Menands, New York, St. Agnes is one of the Capital Regions most active cemeteries and continues to serve hundreds of families today. 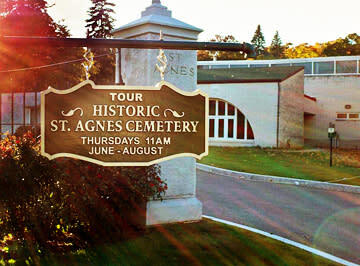 Consecrated in 1867, St. Agnes Cemetery displays the characteristics of the rural cemetery movement. Like other landscapes of this genre, St. Agnes Cemetery was designed to portray order, symmetry, and peace. The landscape combines intimate enclosed places for contemplation with panoramic vistas illustrating the sublime in nature. As a place to stroll and meditate in a tranquil setting, rural cemeteries were precursors to public parks. 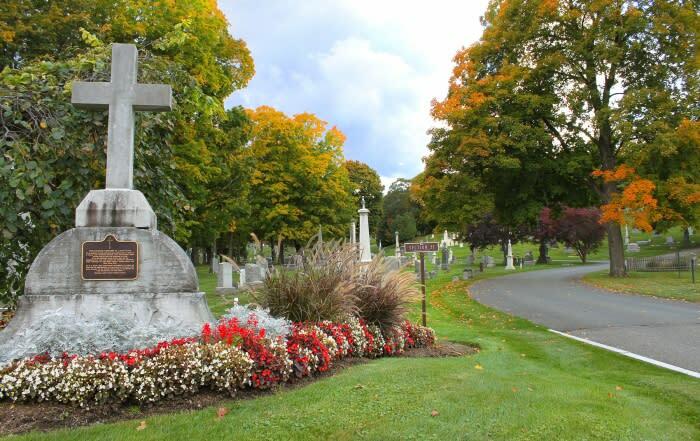 The history of New York's Capital Region is written on the memorials which dot the hills and glens of St. Agnes Cemetery. Among the generations of Catholic faithful lie a governor, members of Congress, beloved clergy and religious brothers and sisters, captains of industry, and war heroes and veterans of every conflict since the War of 1812. It was listed on the National Register of Historic Places in 2008.